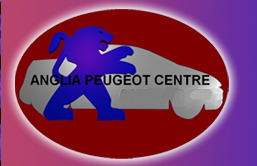 Looking for a garage to fix your Radiator in Norwich? Save money: Instantly compare Radiator Repairs prices in Norwich to find the best deal. Quick and easy: Simply enter the registration number of your car and your post code, compare prices, choose a local garage in Norwich and book your Radiator Repairs. "Used the collect service at no extra charge excellent"
"Your booking system did not work, however the garage fitted me in the next date at the same price"
"Welcoming staff, loan car available, timely contact to let me know vehicle ready, prompt service at collection." "Very thorough and found issues I knew were there but other garages couldn't find. Mot also very thorough (although they say it's just a standard mot) I guess they just do it properly." "Very helpful team, fully recommend"
"After the car hadn’t been driven in over a year and having no knowledge of cars I was concerned how much the MOT and service would cost. The garage were amazing and called after the car failed and went through the various options. It only cost just over £200 so was incredibly happy as less trust worthy places could have charged anything. Would thoroughly recommend the garage and will use again"
"Very welcoming, allowed me to sit in the reception while they carried out work on my car. The guys seemed to know a lot about what they were doing and were very friendly. On top of this it was very reasonable price wise. Very happy"
"Helpful and thorough, quick and kept me informed. My go to garage"
"My car needed extra repair but they were very helpful about it, trying to find the best price and allowing me to order the part myself if it would cut down cost. I didn't find anything cheaper so I let them go ahead. I appreciate their honesty and felt like they cared about what they do and my price concerns. Definitely recommend." "Had my mot work done and mot my car my car broke down on the day after when I called the garage ken came to my rescue without hesitation very helpful man and nothing seems to much trouble thanks will use again and recommend friends and family x"
This might sound like a question with an obvious answer: you need a garage that can service or repair your car quickly and at a good price. But think again and you may realise there are other factors that affect your choice of garage in Norwich. If you need to bring your son or daughter with you when you take your car in, are there toys in the waiting room? If you’re dropping the car off between school and work, can you pick up a cup of coffee while you’re there? Might the garage even collect your car and drop it back at your house after the work is done? You can find answers to all these questions on BookMyGarage.